Police seek suspect after 37 tires slashed in New Milford, N.J.
NEW MILFORD, N.J. (WABC) -- Police are looking for a suspect they believe slashed more than three dozen tires in a Bergen County neighborhood last week. Thirty-seven tires on 22 vehicles were slashed overnight on Aug. 7 in New Milford, New Jersey, police said. The tires appeared to be punctured with a flathead screwdriver or similar tool, and all of the crimes took place within a few blocks - on Madison Avenue, Charles Street, McKinley Avenue and River Road. One vehicle was also significantly scratched on its hood and driver's side door, according to police. Police have identified a suspect as a white or light skin Hispanic man, approximately 5 feet 8 inches tall with a chubby build. 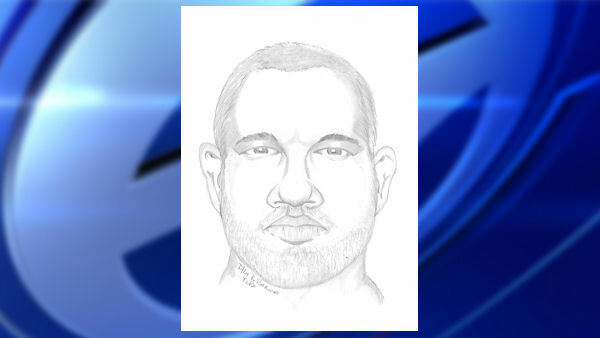 His age range varies from late teens to early 30s, police said. The suspect also reportedly had a buzzed haircut, dark hair and eyes and was wearing a gray hooded sweatshirt and dark gym shorts. Because of the small three-or-four block radius where the slashing occurred, police think the suspect might have been on foot. New Milford Police are investigating the case. Anyone with information regarding this case can contact the department at 201-261-1400. Crime Stoppers is offering a cash reward to anyone who could provide information leading to an arrest.